20 Bodybuilding Tips for Beginners! In case you are new to bodybuilding, here are some useful tips that might help you to gain more muscle and to look amazing! 1. Don’t get distracted by all the fancy machines found in modern gyms! Stick to free weights! Dumbbells and barbells are the most effective for building mass! 2. At least in the first 6 months perform only the basic exercises for mass and strength! 3. Have a strict program and stick to it! When you enter the gym, you should already have in mind what you are going to do in that day (exercises, series, number of reps etc). 4. Split your training routine into 3 or 4 sessions per week. 5. Four days is more than enough for a beginner, so you don’t need to go at the gym every day! In order to grow, your muscles need to rest and recover! 6. Too many days at the gym are not good, but too less won’t help you either! Work each muscular group at least once every week! 7. Your program should definitely include squats and deadlifts! These are some of the best exercises of all! They will involve your entire body, and will give you strength and mass! 8. In the first sessions at the gym use small weights, and make sure that you learn the correct form for all the exercises! 9. Only after you know how to perform each exercise increase the weight! 10. For all the mass exercises that you do, increase the weight periodically! You don’t need to do lots of reps (8-10 are enough) but you need to use big loads. This will give you strength, and will finally force the muscles to grow! 11. When using heavy weights, use a safety belt for protecting your lower back! You might not have back problems now, but you don’t want to have them later! 12. If you want to gain a lot of muscular mass, and especially if you are skinny, eat a lot! 13. Eat often! Have at least 5 meals / day – one meal every 3-4 hours! 15. Stay away from junk food and lots of sweets! It’s true that you want to put some pounds on, but you don’t want to gain fat either! 16. Eat a lot of proteins! 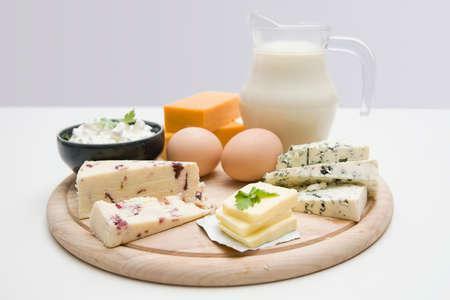 Great sources include chicken, fish, milk, eggs, cheese, yoghurt, soy as well as some vegetables. 17. Also eat a lot of fruits and vegetables in order to stay healthy and offer your body the vitamins and minerals it needs. 18. If you want better results use supplements, but definitely stay away from steroids! 19. Sleep at least 8 hours each night! Your muscles don't grow when you train at the gym, but when you sleep. So make sure you get enough of it. 20. Now you are an athlete so you need to act accordingly! Have a healthy lifestyle, so avoid as much as possible alcohol, smoking and lots of wasted nights in the club!